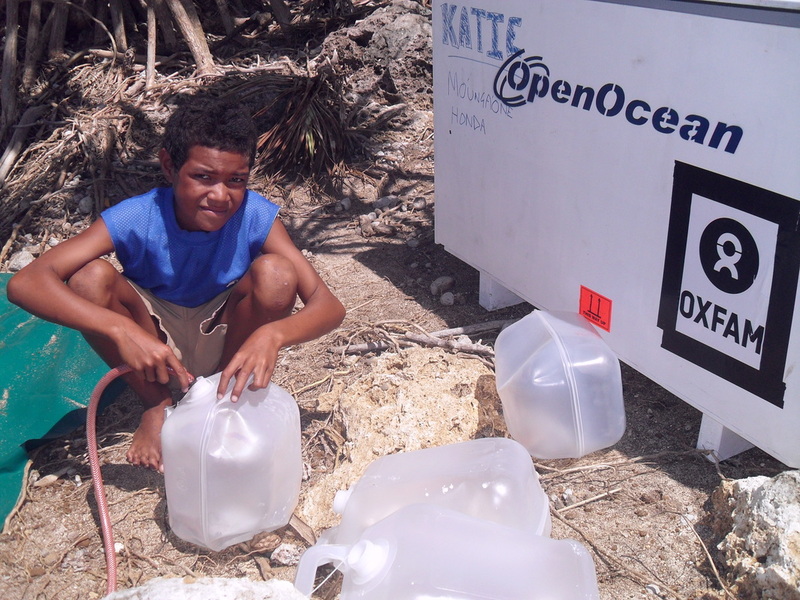 We received the call from Oxfam shortly after Cyclone Ian hit the Ha'apai Group in Tonga. The devastation there was significant. It left much of the population without drinking water. Carlos at Oxfam wanted to know if we could put together a portable system that would produce a lot of water. It needed to be able to travel by plane, pick-up truck, and open boat. It also needed to be moved around by people power. 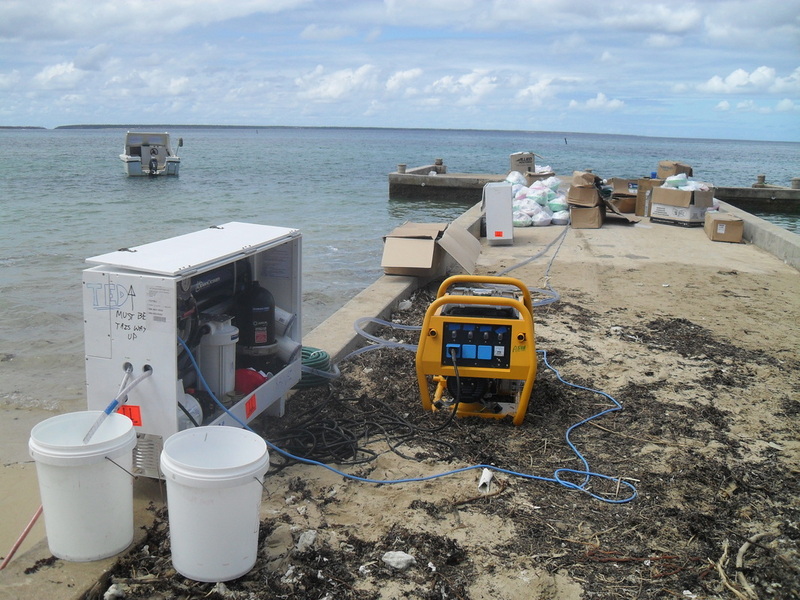 We didn't have the lead time required to put together one of our petrol powered portable systems, so we opted for AC driven pumps that run off portable generators. Combining elements of our portable petrol systems with our fixed installation land-based systems, we came up with a recipe for these AC powered, portable land-based systems. To keep material costs down and allow for quick and flexible construction, we opted to build these systems into wooden cases. We knew that these systems would be living a rough and tumble life, so we put the cases together with heavy-duty stainless steel hardware, and triple coated the wood with epoxy and two-part marine paints. 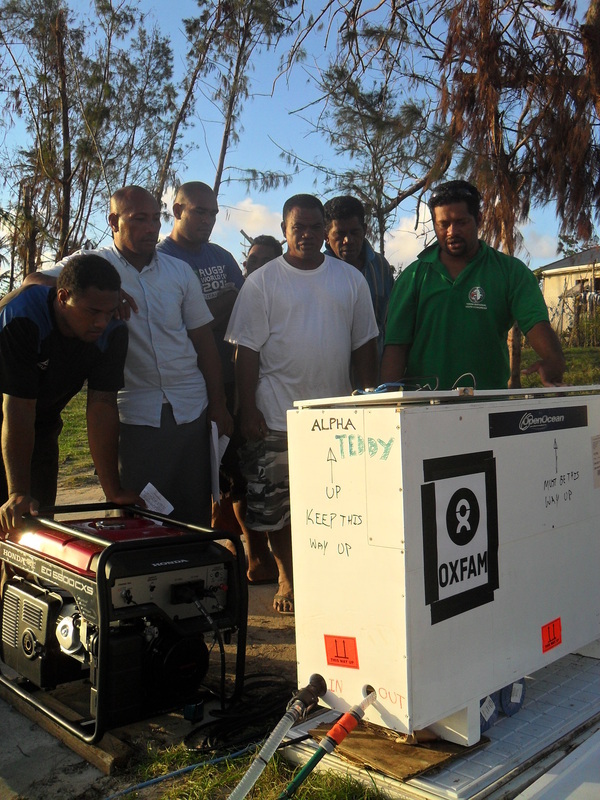 Five days after the orders were placed, we were on the road personally delivering the systems to Oxfam in Auckland, for immediate departure for Tonga. 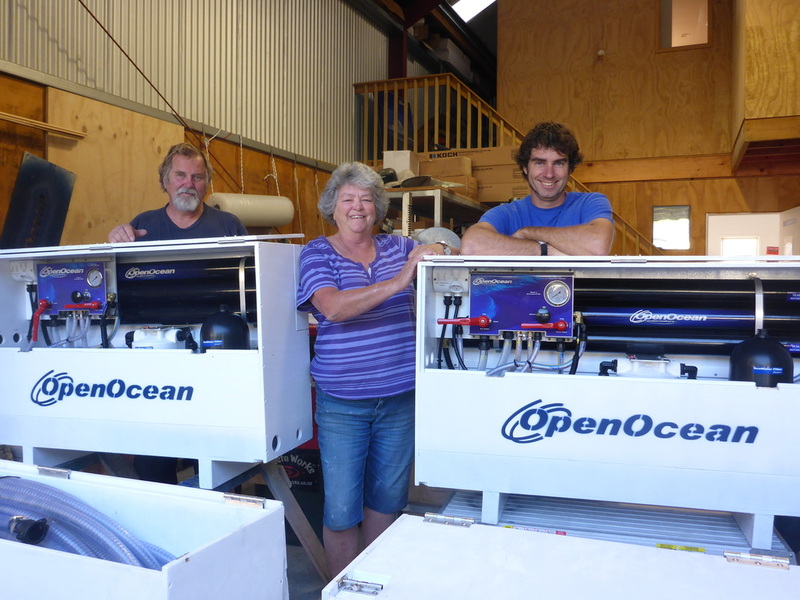 We went to Westhaven Marina to demonstrate the system and train the Oxfam crew. Kip was aboard as the technician who would be travelling around Tonga with the systems, and Carlos was there as project coordinator. It didn't take long to get everyone up to speed on setting up and tearing down the systems. In no time, the systems were ticking along making copious amounts of fresh water. The key for us, was to put together a system that was easy to set up, tear down, and move around. 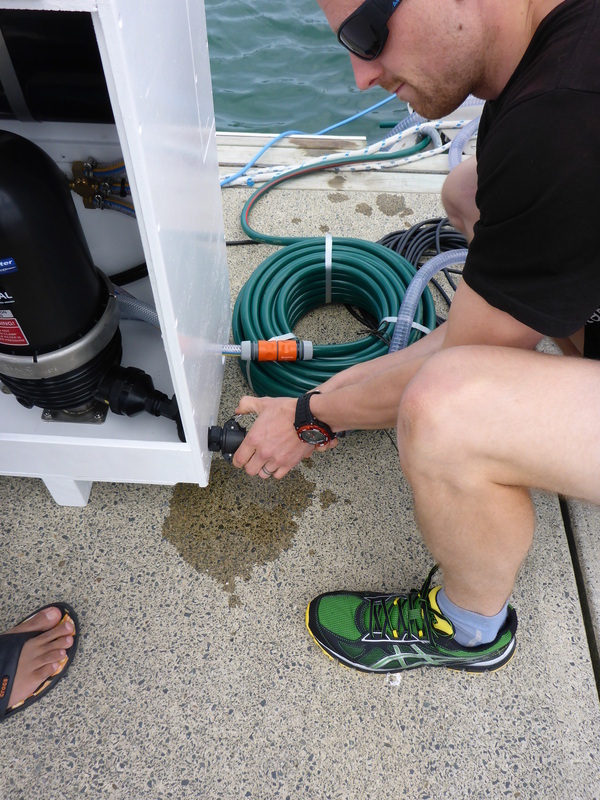 With our land-based systems and some of our commercial boat systems, we employ an overstated washable prefilter. 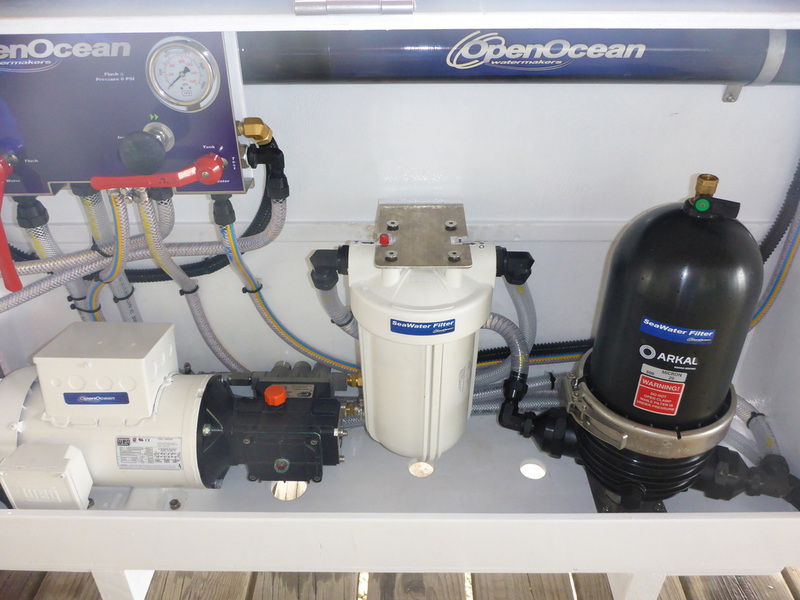 Up in the islands, there isn't a lot of plumbing or water purification stores around, so we took steps to ensure that our systems will get maximum service life out of their consumables. Protecting the fine washable pre-filter element with the washable coarse pre-filter helps those fine pre-filter elements to last a long time. 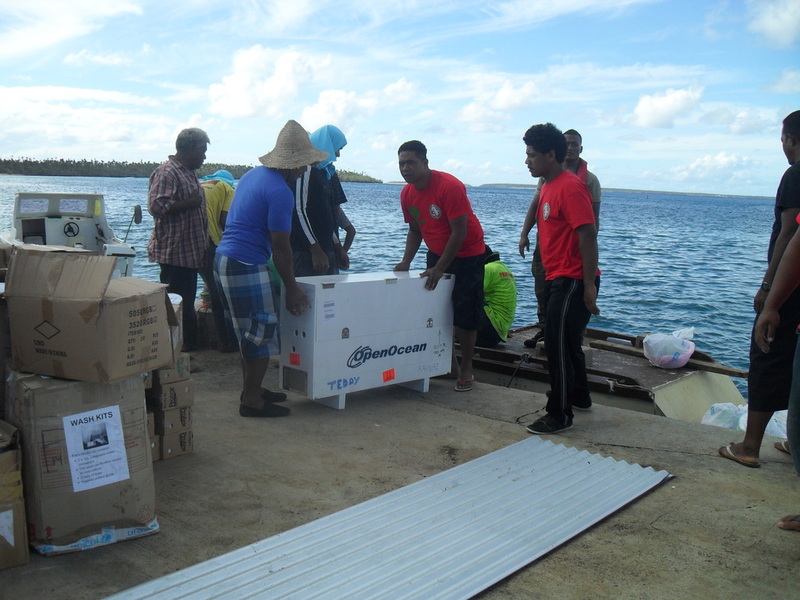 Open Ocean is proud to have been part of this relief project. Fresh water is our business. It is really nice to be able to bring a sustainable fresh water source to people who really need it.